In what he described as a surprise takeover, Gary Eberle was removed as general manager of Eberle Winery in Paso Robles by his fellow shareholders. Also, a northern Italian vineyard in Alto Adige was damaged in late January when three large boulders broke free from an overhanging cliff, tumbling down the mountainside and through a barn on the estate property. 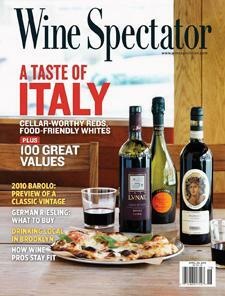 Wine Spectator's MaryAnn Worobiec and Robert Taylor report.